No. 56 Eaglewood is a two-bed ground floor apartment situated in this much sought-after development. The apartment offers bright and spacious accommodation throughout and boasts a large sunny deck overlooking the gardens. Located on Rochestown Avenue, Eaglewood is within easy reach of a host of amenities including shopping, leisure facilities and excellent transport links with easy access to Dublin City by Bus, Luas, N11 and M50 all nearby. Double room with built in wardrobes and telephone point. Overlooking decking and garden. Larger double room with built in wardrobes, telephone and tv points. Overlooking decking and garden. 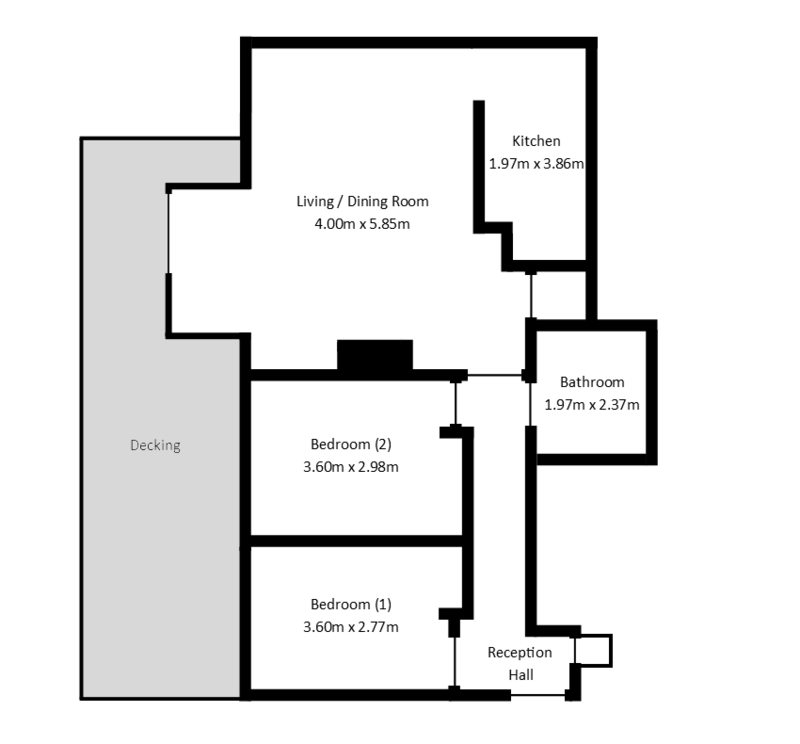 Tiled floor, w.c, w.h.b and bath with overhead shower. Spacious room with feature gas fire, hot press, tv point, fitted shelving and double doors to the decking area. With slate floors and a range of fitted units and integrated appliances. Large south facing decking area c.3m x 10m overlooking gardens and water feature.